Publisher: Santa Barbara, CA: Praeger, 2013. 328p. In The Cartels: The Story of Mexico’s Most Dangerous Criminal Organizations and Their Impact on U.S. Security, author George W. Grayson analyzes security and organized crime in the context of contemporary political and economic developments in Mexico’s democratization process. His project is ambitious, simultaneously assessing the development of Mexican political parties and structural economic reforms spanning 80 years from the presidency of Lázaro Cárdenas in 1934 to the present with emphasis on the administrations of President Felipe Calderón (2006-2012) and current President Enrique Peña Nieto. He also addresses diverse public policies, recent security measures, and their effects on the structures and dynamics of Mexican drug trafficking organizations (DTOs) that have transformed themselves into transnational criminal organizations. At the outset, the author makes an important effort to briefly explain several decades of Mexican history to identify changes in the nation’s power structures and basic political and economic reforms during the transition from a single-party state regime to a “more democratic” country. His main topics are the power that the executive once held, the reign of the Institutional Revolutionary Party (PRI for its acronym in Spanish), subsequent economic liberalization and diminished executive power during a process of democratization. Another important topic relates to reforms by Lázaro Cárdenas, including nationalization of the Mexican oil industry in 1938 and the growing power of labor unions. These serve later as contrasts to Peña Nieto’s current national policies. Grayson’s assessment of successes and failures of Mexico’s past presidents is troubling. For example, he is extremely critical of Lázaro Cárdenas (1934-1940) – who nationalized the oil industry and distributed significant extensions of land among the peasantry – alleging a high concentration of political power. At the same time, he praises Carlos Salinas de Gortari (1988-1994) for his commitment to free-market reforms, saying that he “presided over an extremely successful administration” (p. 19). Success of presidents should be measured more formally by providing supporting evidence that compares levels of political stability and cohesion, crime rates, economic development, and GDP growth rates before and after specific presidential periods. Grayson’s assessments may or may not be accurate, but such statements could be considered ideological, inaccurate, and biased if no data are provided to justify them. Grayson presents a thorough and vivid report of prominent developments and actions of major drug trafficking organizations and their interactions with a variety of players. His narrative centers on corruption, the government’s lack of control of illicit activities, and the cartels’ brutality. Grayson explains in detail the battles between the cartels in the east and the west in their quest for control of territories and profitable trafficking routes. He recognizes basic changes in the configuration of organized crime in Mexico, particularly when describing the emergence and modus operandi of the Zetas and La Familia Michoacana, which he incorrectly calls La Familia “Michoacán” throughout the text. Grayson’s account is colorful, filled with names, nicknames, adjectives, and descriptions of bloody events and hyper-violent actions perpetrated by what he terms Mexico’s “most dangerous criminal organizations.” He follows key DTO members and their fates after life in the cartels. Grayson, a recognized authority on security, criticizes former President Felipe Calderon’s security strategy and his “war on drugs;” his attempt to take back the control of the country by implementing the kingpin approach to capture heads of the organizations; his failure to extend the Merida Initiative and retain the interest of the U.S. government; and the numerous arrests the administration achieved but that led to fragmentation of cartels into smaller, new and more pervasive groups. He stresses the use of military power to combat DTOs and the problems it introduced to the Mexican society – such as human rights violations, abuses of power, and rampant corruption. Grayson’s praise of the Mexican Navy over the Mexican Army is noteworthy. The author alleges that the Army has a strong Mexican nationalism that does not foster cooperation with U.S. law enforcement because of historical events related to the loss of Mexican territory in the nineteenth century. This perceived lack of cooperation is considered unfortunate by the author. Grayson suggests that once the Mexican government reaches out to the U.S. government for help, significant progress will be achieved against DTOs. It is surprising that the author of The Cartels does not seem to acknowledge the very significant cooperation and increasingly close collaboration of Mexico and the United States in these matters – particularly more recently. He asks for further U.S. intervention that, in his opinion, was key to Colombia’s relative successful fight against organized crime. Grayson’s analysis and position on these issues is understandable considering his affiliation with the Center for Immigration Studies (CIS), the Center for Strategic and International Studies, and the Foreign Policy Research Institute. He is also a frequent lecturer at the U.S. Department of State and the National Defense University. A call for further militarization of public safety and anti-narcotics operations is a position taken by groups within Mexico and outside the country. However, in an academic volume, it should be understood that the problems in Mexico are much more complex and are not related only to extremely dangerous DTOs and corrupt Mexican authorities. A more thorough analysis should be made regarding implications of drug consumption, drug policy, and U.S. foreign policy, as well as of key aspects of money laundering, business interests, and immigration policies in the U.S. and the rest of the Americas region. A more comprehensive analysis of shared hemispheric problems and responsibilities would support better understanding of the recent dynamics in Mexico regarding security, violence, and instability. It is important to acknowledge that organized crime is a transnational phenomenon that includes a variety of countries and not only developing drug-producing nations, such as Colombia, Mexico, and other Central American and Andean countries. The final three chapters of Grayson’s book do not center on Mexico’s cartels. The focus is Enrique Peña Nieto’s security strategy, recent passage of structural economic reforms and limits to their successful implementation, such as high levels of corruption. Grayson provides basic public policy recommendations – already laid out by several analysts – and gives special attention to the necessity of reforming the criminal justice system and reducing police corruption. 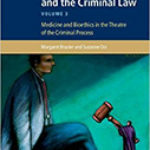 According to Grayson, only “when Mexico – with assistance from other nations – establishes competent, modern, uncorrupt police, prosecutors, courts, and penal institutions will Mexicans of all classes have faith in the judiciary” (200). The concluding part of this book is, on the whole, a summary of the most recent political and economic development in Mexico and prospects for implementation of the most recently passed structural reforms. Overall, this book does not provide any novel information on Mexico’s security, primary criminal organizations, or the country’s current problems. It is a repetition of his previous texts and mainstream media. It does not analyze organized crime in Mexico in a broader context of interest groups, businesses and transnational actors that would give the reader a more accurate account of what is happening in the country today. It is not an academic book. It is more of a collection of news about DTOs – their breakups, their battles, their arrests, their alliances, their power in correctional facilities, and the deaths of members. One could assert that this book is not about the cartels but about Mexican administrations trying to control the cartels. The book does not live up to its title, which suggests that the readers will learn about Mexican DTOs and “their impact on U.S. security.” Grayson tells the “official story” of the Mexican cartels but does not convey why they represent a threat to U.S. security. Grayson is considered an authority on the study of Mexico’s politics and organized crime. 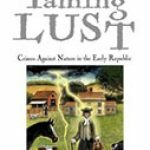 He has written extensively about this country and its problems at different periods of time. His recent book on Mexico’s cartels is a very ambitious project where he shows his ample knowledge on different aspects of Mexico. The book covers multiple subjects that go beyond its title, including Mexico’s contemporary history since 1938, the history of organized crime, Mexico’s security policies, contemporary economic and political developments, and structural reforms. It even provides public policy recommendations. The main fault is its lack of academic rigor and specific methodology. There is no central argument that leads the discussion nor a hypothesis that can be tested. The material is diverse, and the multiple ideas included are presented in a disorganized fashion. It is not a serious academic work that one would expect from such a renowned scholar as George W. Grayson.